Internet technology has become a remarkably authoritative tool in the new cyber millenmium. 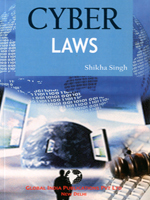 This book offers solutions to critical cyber-legal problems and will facilitate legal planning, decision making and cyber-legal compliance in the e-world. From e-commerce to e-signatures to e-acts, this book includes terms of everyday applications of the internet in jargon-free language.